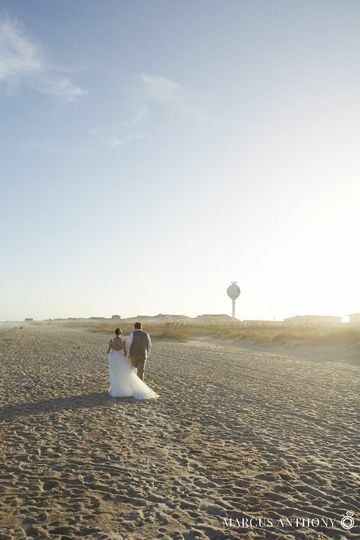 Wrightsville Beach is the wedding destination for midcentury modern landmark, Blockade Runner Beach Resort. 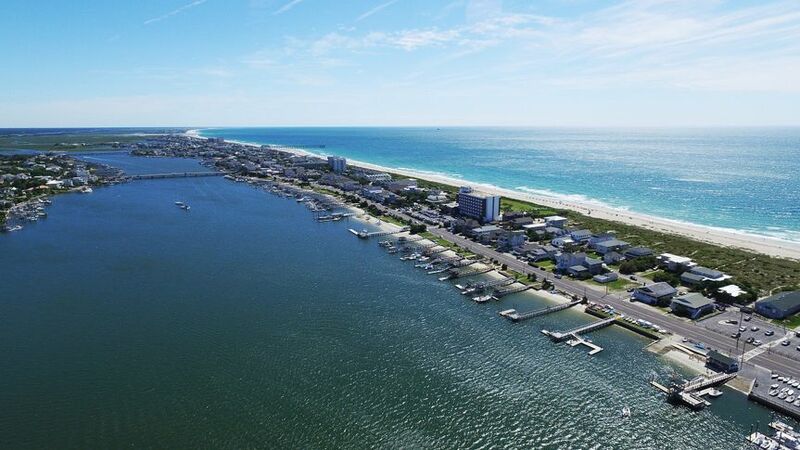 As an exclusive entry to the barrier island's four miles of beach, sea grass, and coastal culture, our 360 degree water views revel in the backdrop of the Atlantic Ocean and Banks Channel. 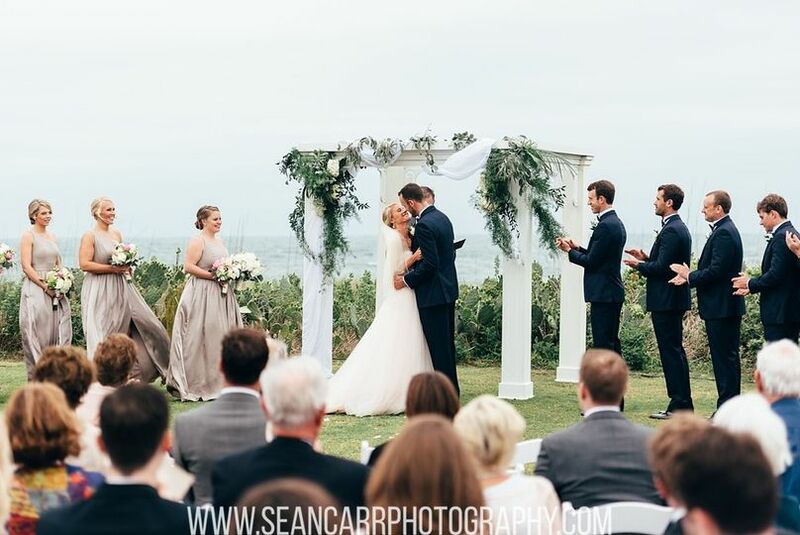 Home to the island's only oceanfront gardens, between the beach and our wedding lawn is an open air oasis for ceremonies. Our Resort also hosts a full sized ballroom, an ample canvas for the party you have pictured in your dreams. With clean midcentury modern lines on the outside, our Resort's interior is decorated with contemporary coastal design. Your wedding party will enjoy the thoughtful touches in our guestrooms. With water views from all rooms, your guests will feel at home on our island. This hotel is awesome. We got married here and the service was impeccable. There was never a question. Jodi was clear and easy to communicate with. She was dependable and gets the job done. She and the rest of the hotel staff went above and beyond for us. The kitchen staff did a great job with our menu and accommodating with our special dietary and liquor requests. The grounds are beautiful and beach was amazing. Jodi recommended all of the local vendors we used and they were all a dream to work with also. We can not thank her, The Blockade Runner, and staff enough for making our weekend truly special. Awesome spot for a wedding! The property of this place is breathtaking! With only Oceanfront and Harbor view rooms you can not go wrong. 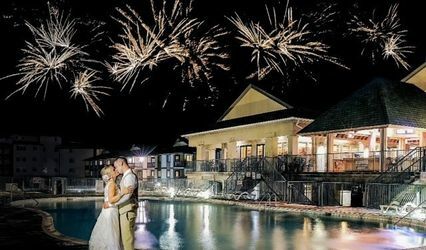 We had our entire wedding reception and ceremony there in one spot and a 15 guest room block. 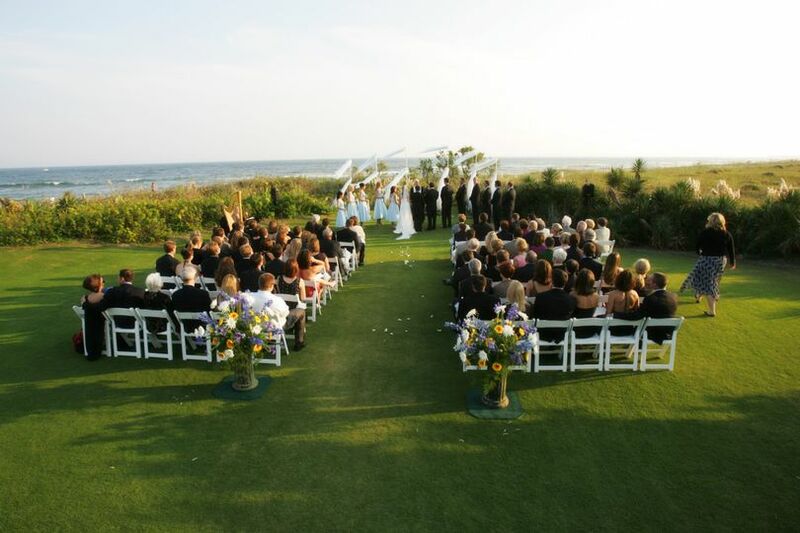 The have a beautiful lawn overlooking the Ocean for a ceremony and the bridal suite is amazing. It gives off a south beach vibe. 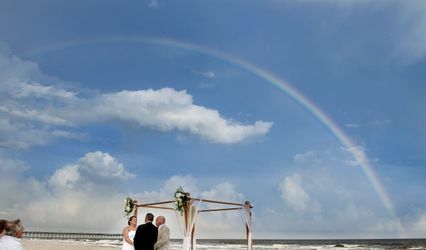 Blockade Runner was a great choice for us as a couple who live in Wilmington, with practically all out-of-town guests. We were grateful for a venue that offered us a simple backup plan in case of rain as well. The day-of coordinator worked closely with us to make sure our plan was executed. She checked in with the vendors on her own to make sure everyone was comfortable and prepared. We were able to visit twice to talk to her in person. There is a lot of staff turnover, so Renee took over partway between our initial deposit and the wedding itself. The Blockade Runner was flexible on our selections for the Social menu. Food is definitely pricey, but it was high quality and our guests seemed to enjoy it as well. Bonus points for bringing the bride and groom a tray of hors d'oeuvres during the cocktail hour. The reception was well-staffed for our 70 guests, including the bar. We appreciated the flexibility to switch one of the alcohol selections as well. Room reservations were one part that did not go smoothly. Our guests had difficulty being identified with our room block, and later were told no rooms were available in the block. We were never notified that the block was full until well after these goings-on. Guests interpreted no rooms left in the block as no rooms at the hotel and stayed elsewhere. A little communication directly with the bride and groom when the block was nearly full might have helped alleviate the stress and even brought the Blockade Runner a few more guests. The rooms themselves were lovely. The bride had no trouble getting ready in their room with a few people hanging out, and the ocean views are stunning. Staff was very patient when 40+ wedding attendees crashed into the morning brunch hour at once. Overall, the hotel staff did a fantastic job of taking care of details, setup, teardown, and service. They made our wedding planning pretty easy, and we enjoyed the day and the grounds. Pricey, but splendid service. 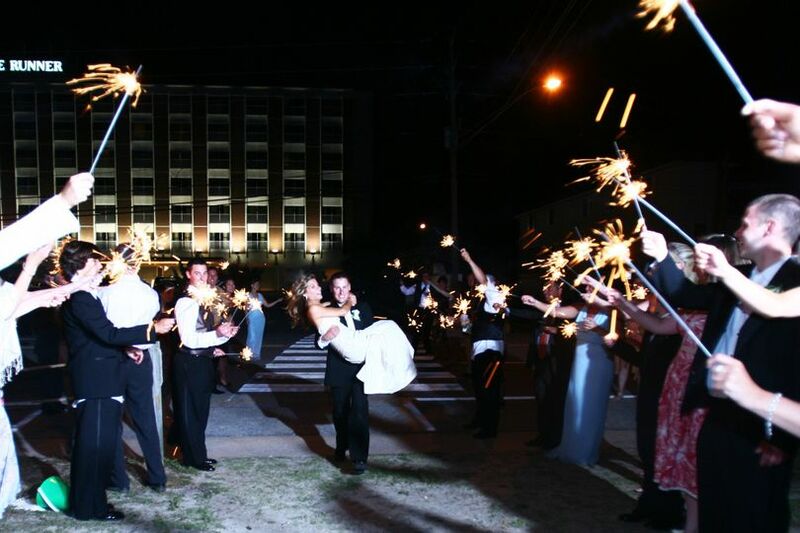 We absolutely LOVE performing weddings at the Blockade Runner. 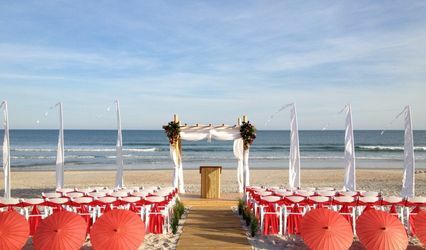 It is a beautiful location with the flexibility to have a ceremony in a "tropical paradise-like" setting yet beachfront. Accommodations are beautiful as well! 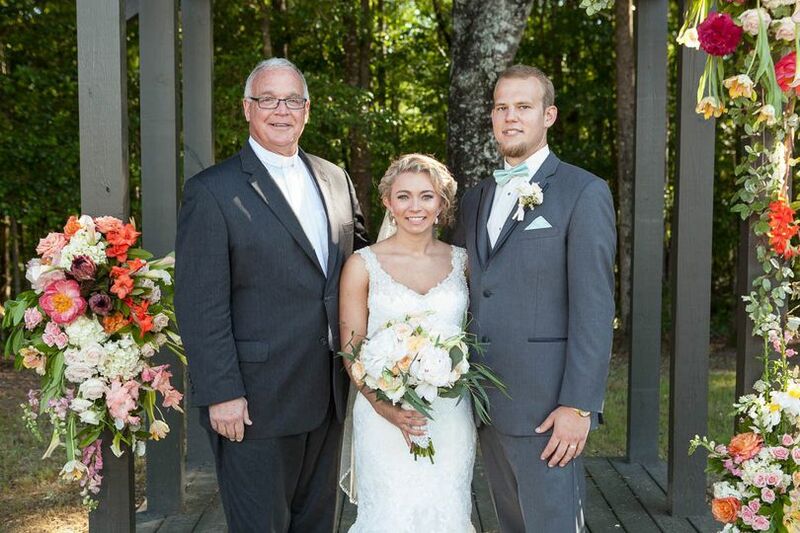 If you need a pastor to perform your wedding, we&apos;d love to hear from you! Blessings!